Augustine of Hippo was a philosopher as well as theologian, bishop and saint. He aimed to practice philosophy not simply as an academic discipline but as a love for divine wisdom pervading everything in his life and work. To inquire into Augustine and philosophy is thus to get to the heart of his concerns as a Christian writer and uncover some of the reasons for his vast influence on Western thought. This volume, containing essays by leading Augustine scholars, includes a variety of inquiries into Augustine's philosophy in theory and practice, as well as his relation to philosophers before and after him. It opens up a variety of perspectives into the heart of Augustine's thought. He frequently reminds his readers, 'philosophy' means love of wisdom, and in that sense he expects that every worthy impulse in human life will have something philosophical about it, something directed toward the attainment of wisdom. In Augustine's own writing we find this expectation put into practice in a stunning variety of ways, as keys themes of Western philosophy and intricate forms of philosophical argument turn up everywhere. 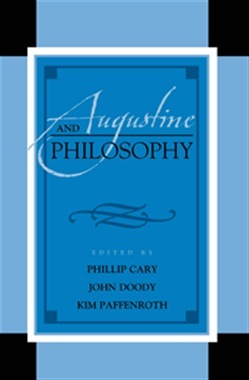 The collection of essays in this book examines just a few aspects of the relation of Augustine and philosophy, both in Augustine's own practice as a philosopher and in his interaction with others. The result is not one picture of the relation of Augustine and philosophy but many, as the authors of these essays ask many different questions about Augustine and his influence, and bring a large diversity of interests and expertise to their task. Thus the collection shows that Augustine's philosophy remains an influence and a provocation in a wide variety of settings today. Acquista Augustine and Philosophy in Epub: dopo aver letto l’ebook Augustine and Philosophy di Alexander R. Eodice, Gareth B. Matthews... ti invitiamo a lasciarci una Recensione qui sotto: sarà utile agli utenti che non abbiano ancora letto questo libro e che vogliano avere delle opinioni altrui. L’opinione su di un libro è molto soggettiva e per questo leggere eventuali recensioni negative non ci dovrà frenare dall’acquisto, anzi dovrà spingerci ad acquistare il libro in fretta per poter dire la nostra ed eventualmente smentire quanto commentato da altri, contribuendo ad arricchire più possibile i commenti e dare sempre più spunti di confronto al pubblico online.